Control your own destiny on the web! Let's cut to the chase. With this INFORMATIONAL video course you will learn everything you need to know about Web Development, even if you've never programmed before! At the end of each chapter or "level", Victor Basos will show you how to create a simple application using the languages you've learned so far and the source code of each final project will be available for you to download as well. This "Become a Web Developer from Scratch" will give you a new perspective on how the Internet works and after you completed the course you will be able to create your own websites and apps with the latest technology. 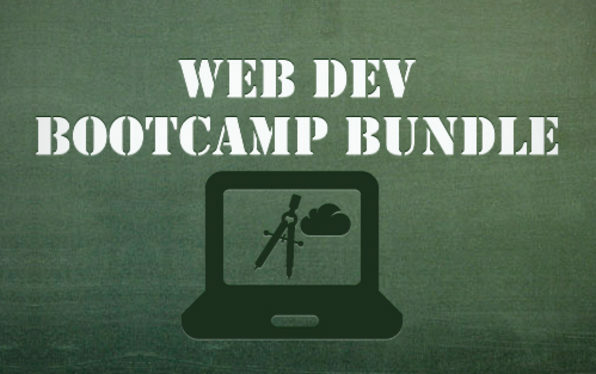 With this course alone you'll be able to make your wildest web dreams come true! Victor Basos has been a Web Developer and Web Designer for the last 6 years. After working for some Web Development companies in Portugal, Spain and England, he finally found my true passion... teaching! He started by helping a few friends learning the basics of web development and never stopped from then on! Notice how many people are on their phones today? Yeah, we thought so and you know what that means, right? That you want to grow your business and optimize your sales faster then you need for your website to be responsive. With this video course you'll learn how to create a web design that automatically conforms itself to multiple screen sizes. This step-by-step master plan will show you the process for creating a design that rearranges content, resizes elements, and adapts itself based on the size of your visitor's screen size. Learn how to reposition the main navigation of the site based on the device browsing your website. 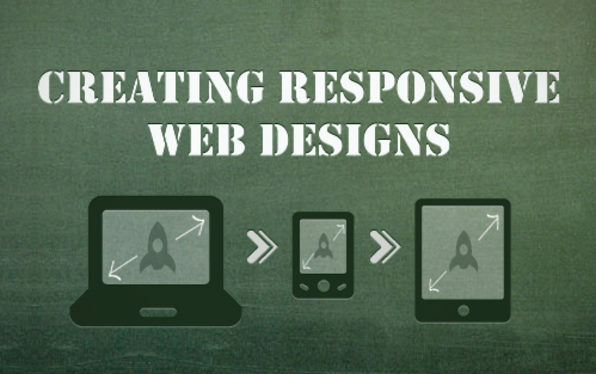 Build A Responsive Web Design Today! In the video course you will create a web design that makes use of HTML5 and CSS3, while maintaining backwards compatibility with older browsers. In addition to adjusting your design layout, you'll explore using CSS to define all imagery in the design, allowing you to send optimized imagery along with our customized design experience. This course includes HTML, CSS, and Photoshop templates for use in your own multiscreen web design projects. Get responsive and start winning over more customers today, not tomorrow. Chris Converse is a designer, photographer, and web developer at Codify Design Studio. Chris is a regular featured speaker at Adobe MAX, HOW Design and Interactive Conferences, AIGA, and Mogo Media events. Have you ever wanted to make a game and launch it into the Mac store? You have tried to Google tutorials and tried to learn how to code but you're still getting nowhere. After much frustration, you give up and put your fantastic game ideas aside. Well, put away your ideas no longer! If you've been looking for an EASY way to make iPhone, iPad, mac store and android games you are in luck! With this video course you'll learn the basics of game design and will learn how to make iPhone and iPad games with ABSOLUTELY zero programming! Zero programming? What's the catch?! There isn't one! With this course you'll use Game Salad, a third party piece of free software that will allow you to create and launch your apps into the Mac store. The course is designed for beginners to help you understand how a game engine works and the logic behind game production. The instructor shows you the theory behind making a game and will give you a great knowledge base that is tough to find on the internet. Get your game on today and enjoy :). John Bura has been programming games since 1997 and teaching since 2002. John is the owner of the game development studio Mammoth Interactive. This company produces XBOX 360, iPhone, iPad, android, HTML 5, ad-games and more. With OVER 66 lectures and 11 hours of content, this is by far, the most COMPREHENSIVE iOS app development course we've offered yet! 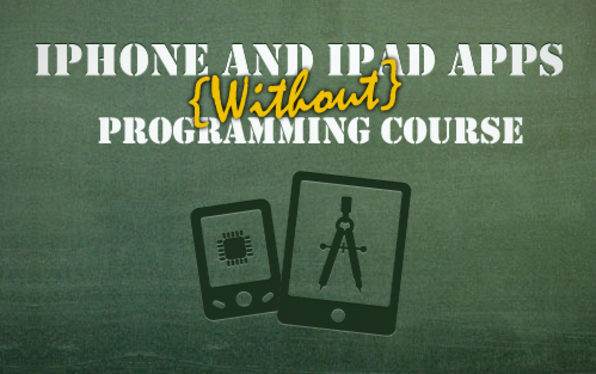 You will learn the fundamentals of Objective-C as well as the advanced strategies that the pro's use. A course like this normally retails for over $3,000 for the live on-site training, but we've got it in this bundle to make it just that much more special. Shawn's class will take you through the steps to create your first iOS app from start to finish with a "see and do" method. 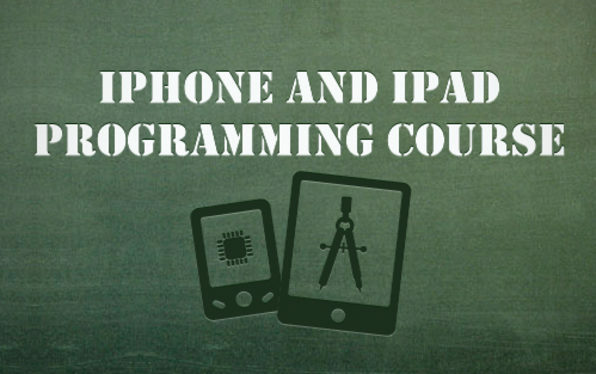 By taking advantage of these video courses you will be learning ahead of the ‘standard learning' curve for new iOS app development programmers and will be able to launch your first app in no time flat! Shawn Arney has 5 years of professional and commercial ‘enterprise' software development experience. He's been coding iPhone and iPad apps for mobile banking companies for the last 3 years and has taught iPhone Development techniques to professional software developers around the country. What do Groupon, Twitter, Hulu, and 37 Signals all have in common? 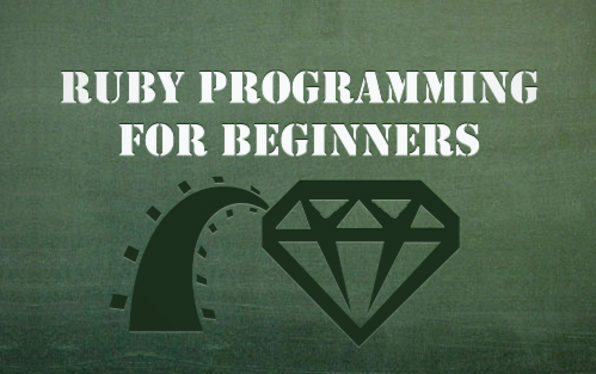 They all use the incredibly POWERFUL, dynamic, and highly scalable programming language of Ruby or Ruby on Rails. Why is that supposed to get your heart fluttering? Because this language is the FUTURE of the web. So, whether you want to start your company or just lock-in job security for the REST OF YOUR LIFE…this tutorial is where it all starts. With MORE than 4 hours of step-by-step video instruction, this Ruby Programming course will teach you the ten steps to creating your first web app. Rather than bog you down with a lot of theory, this course takes a hands-on approach and focuses on making you productive from day one! Huw Collingbourne has been a programmer for MORE than 30 years and is a well-known technology writer in the UK. Huw has written numerous opinion and programming columns (including tutorials on C#,Delphi, Java, Smalltalk, and Ruby) for a number of computer magazines, such as Computer Shopper, Flash & Flex Developer's Magazine, PC Pro, and PC Plus. Get a good handle on Photoshop CS6! If you understand how to manipulate those three elements, you can accomplish just about anything with Photoshop. This course starts by going over those concepts and then shows how to combine them for POWERFUL results. Rather than showing you every single feature, this course focuses on the features people actually use without boring you to tears on the other tools. Dont waste your time learning all of Photoshop's features; learn the important ones. More importantly, this instructor understands that you don't want to spend 14 hours straight trying to learn Photoshop. 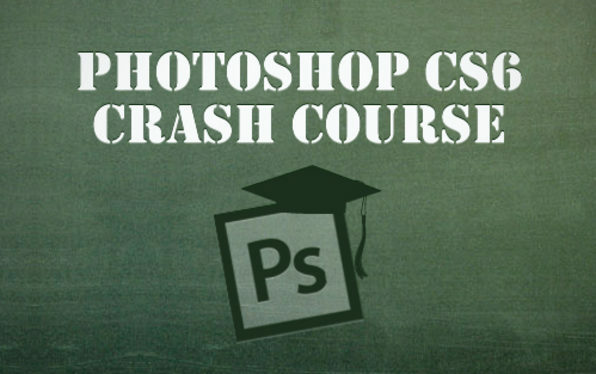 Learn the secrets of CS6 today! Jeremy Shuback, has taught over 150,000 people Photoshop and works as a professional designer. He uses Photoshop every day to create everything from billboards to photorealistic matte paintings for feature films. What version of Mac or PC do I need to use to run these course? All 6 products in this bundle are video courses and only require that you have an internet connection to be able to view your courses. How long will I be able to access these courses? Upon purchasing you'll create an account on Udemy.com and will be able to view and access your courses there forever. If I buy the bundle today, can I redeem my courses later after I get a new computer? Yes, as long as it’s within 60 days of your purchase you’ll be able to redeem your courses. Once you redeem a course it will be in your Udemy account forever and you'll be able to access it from wherever you have internet.